Download this paper and learn how to make cloud-based technology work for you! 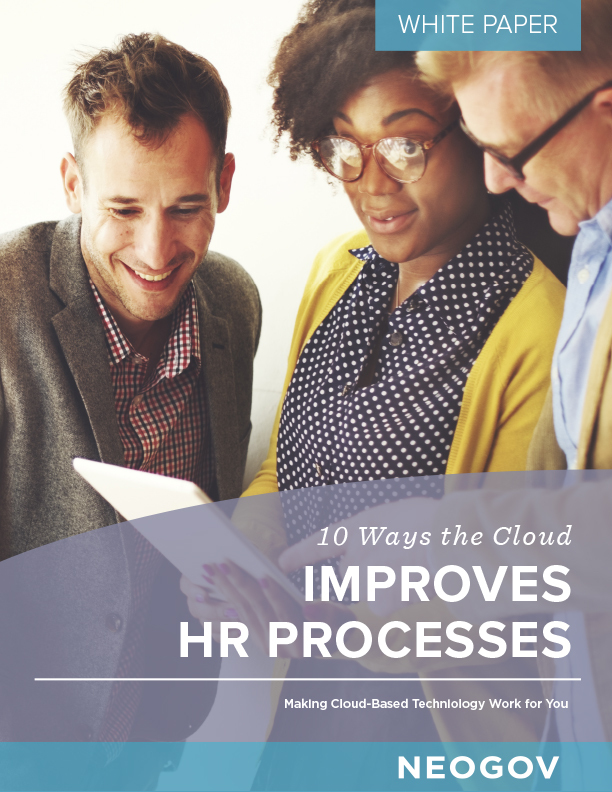 In "10 Ways The Cloud Improves HR Processes" you will learn how cloud technology benefits not only onboarding processes, but also HR processes as a whole. Download this paper now and learn how to make cloud-based technology work for you!